During his 30 year career with IBM, Owen Cropper has developed broad based competencies across all aspects of information technology support and management, including executive leadership of large, complex, global IT delivery and headquarters organizations. He has demonstrated skills especially well-suited for delivering cost effective and high quality managed operations services and customer focused support to both internal and commercial customers across multiple technologies, environments and industries. Results oriented and highly successful across the IT organization, Mr. Cropper brings a broad and highly collaborative IT perspective to his assignments. Encouraged by one of his University of Kentucky math professors, Mr. Cropper joined IBM in 1981 as a part-time “academic hire” while studying as a computer science major. In that role, he worked with hardware, wrote software programs and learned as many aspects of the business as he could. As a result, Mr. Cropper says his experience at IBM helped him understand how information technology fits into the wider scope of a business’s strategy. Upon graduating in 1982, he was hired full-time as an associate programmer. After serving in a variety of programming roles, Mr. Cropper’s career took a new turn in 1991 when IBM became heavily involved in providing IT services. As a business area manager, Mr. Cropper was responsible for the overall project coordination and customer interface for a new data center. Mr. Cropper’s proficiency and experience in IT services allowed him to take multiple management positions within IBM in the 1990’s. In late 2000, he received his first executive level appointment, taking charge of operations and end user support for one of IBM’s service delivery centers. As director, Mr. Cropper oversaw 1,600 employees in six customer support call centers handling over 3.5 million inbound calls per year and managed yearly costs of approximately $150 million. After demonstrating superior leadership in four different director positions, IBM appointed Mr. Cropper vice president of global delivery resource management in 2009, where he was responsible for resource management to countries on three different continents. Mr. Cropper was then appointed to his current role of vice president of service operations (SO) delivery workforce management. He is responsible for creating the first ever global workforce management function across SO delivery, finding a way to lead disparate workforce management teams across the globe—each using different toolsets and operating models—and mold them into a globally integrated, cohesive team. Mr. Cropper remains actively involved with his alma mater, serving on the board of directors of the Engineering Alumni Association and the Department of Computer Science’s industrial advisory board. 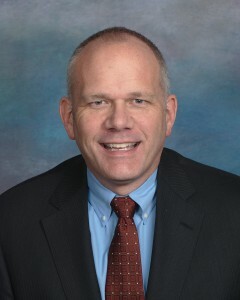 In addition, he is also on the board of directors of the United Way of the Bluegrass. Mr. Cropper lives in Lexington, Ky., with his wife Janet. They have two children, Carrie and Andrew and one granddaughter.